Boy, what an epic. This is perhaps the best book from Haruki Murakami that I have read so far. I have read two other novels of his in the past, Kafka on the Shore and Norwegian Wood. While I liked the surreal plot of Kafka on the Shore, Norwegian Wood was rather dissatisfying. Hence, I picked this up because it was filled with surreal elements, which I am quite fond of. See, 1Q84 deals with alternative realities and parallel worlds. There are two main characters, Aomame and Tengo. In the beginning, the book uses these two characters as points of view, with alternating chapters telling a story that is told from the perspective of these two seemingly unrelated people. Yet as the story unfolds, it becomes clear that there is a connection between Aomame and Tengo, and as the novel progresses, their connection becomes more evident than ever. In that respect, the novel is a novel of romance, covering the affair between these two characters. 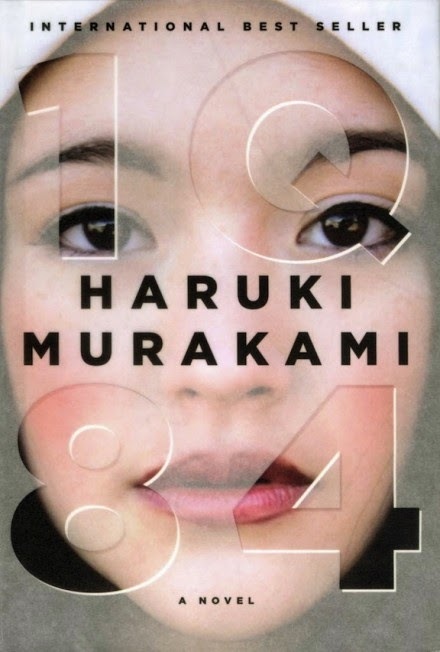 However, 1Q84 is more than that. As I said earlier, this is a surreal novel. It deals with parallel worlds, where the main characters seem to have been sucked into. As a result, there are weird things happening in this world, featuring two moons, and featuring sentient beings that are not human, yet are rather quite powerful, which are none other than the Little People. If I had something negative to say about this book, it is the fact that the Little People aren't really fully explained. Why do they come out of dead beings? That was still unclear when the book came to an end. But then again, it is Murakami, so somewhere along the line, you have to give up and not submit every concept introduced in this book to reason. One must somehow simply accept that in this world, sometimes, there are things that are weird and yet we simply have to get used to it and accept it. One other concept that this novel deals with is the issue of cults. One of the characters was raised as a member of the Society of Witnesses, which in my opinion is a very thinly veiled description for Jehovah's Witnesses. Since I was raised in this religion, I could see connections and other elements. I have to say that this book was well-researched. It was definitely impressive and a pleasurable read indeed. Especially when the narrative features things that are familiar to me, whether it was the skyline of Tokyo, or the draconian elements of the Witnesses. There are many more reasons why I was impressed with this novel, but I have no time to write it down. I have to say, in short, that I never regretted reading this book. Even though it was more than 1100 pages long, it was a definite page turner. I definitely recommend this book to people who are interested in parallel worlds, as this setup provides some very interesting philosophical conversations. I definitely enjoyed this one, and I am giving it 5 out of 5 stars. This is Murakami's masterpiece.